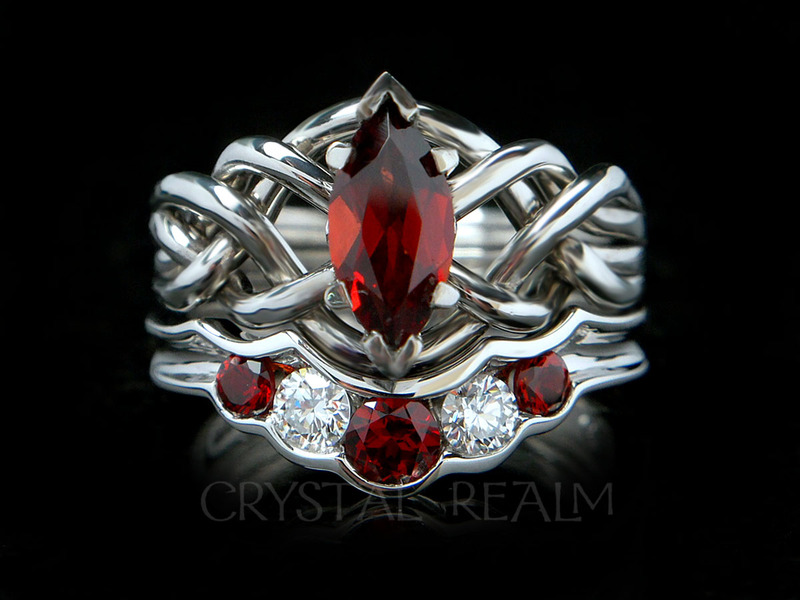 Genuine puzzle rings that really come apart and go back together provide endless fun and fascination. Today’s sophisticated engagement puzzle rings are beautiful in their own right, even without the added intrigue of unweaving and reweaving your ring. 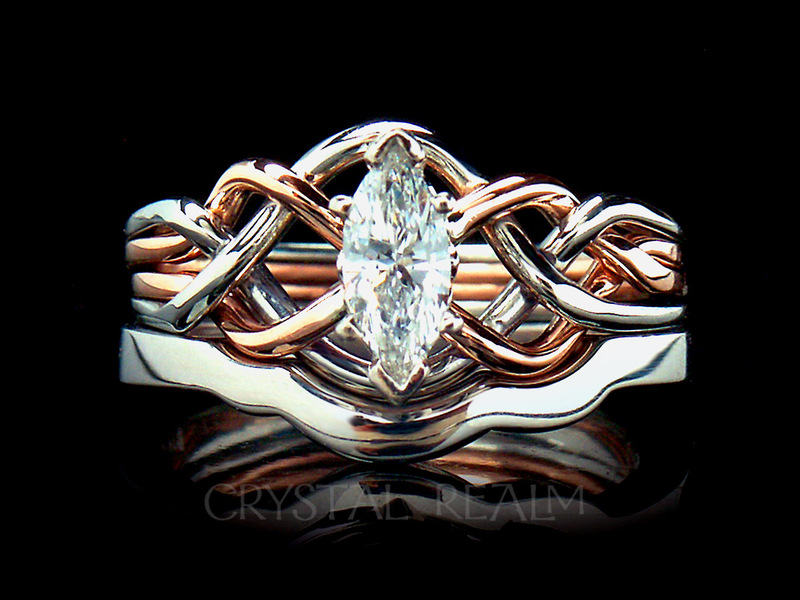 A Celtic engagement puzzle ring can be customized in a multitude of ways: diamond shape and size (ditto for colored gemstones), metal or metal combination, weight, side stones, and more. 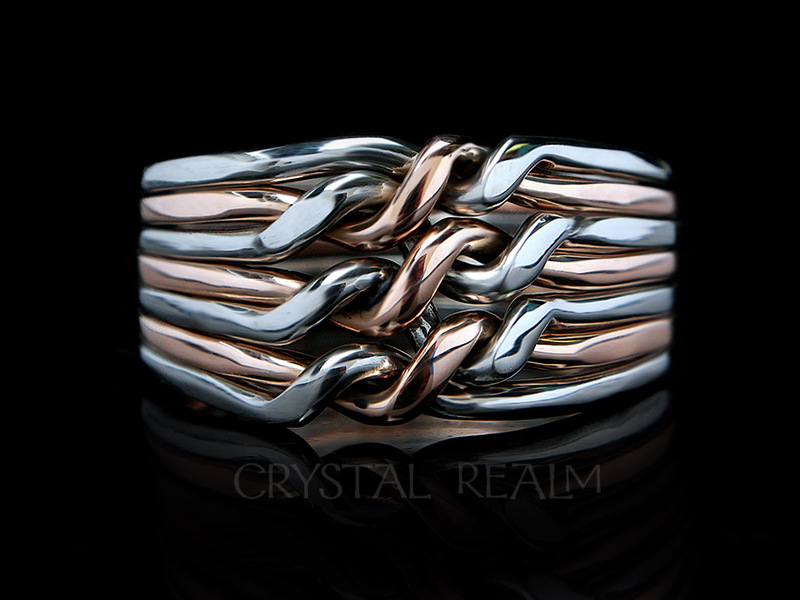 Folks often pair a puzzle ring with a custom fit shadow band, as shown at left, a Renaissance or custom posy ring, or a genuine Irish Celtic wedding band for a truly unique set. Grooms can select a matching posy or Celtic ring or a puzzle ring in a similar weave with the option of a heavier weight. To the left is a marquise diamond engagement puzzle ring with a 1.7mm shadow band – a truly custom set. 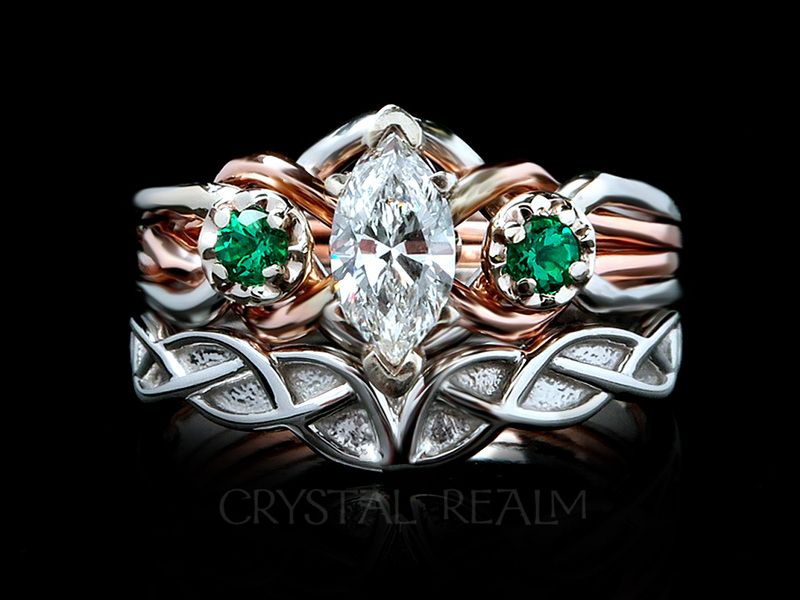 Below, a newly engaged client comments in an email to me about her 1/2CT, princess-cut diamond, Celtic engagement puzzle ring, shown to the right, below. 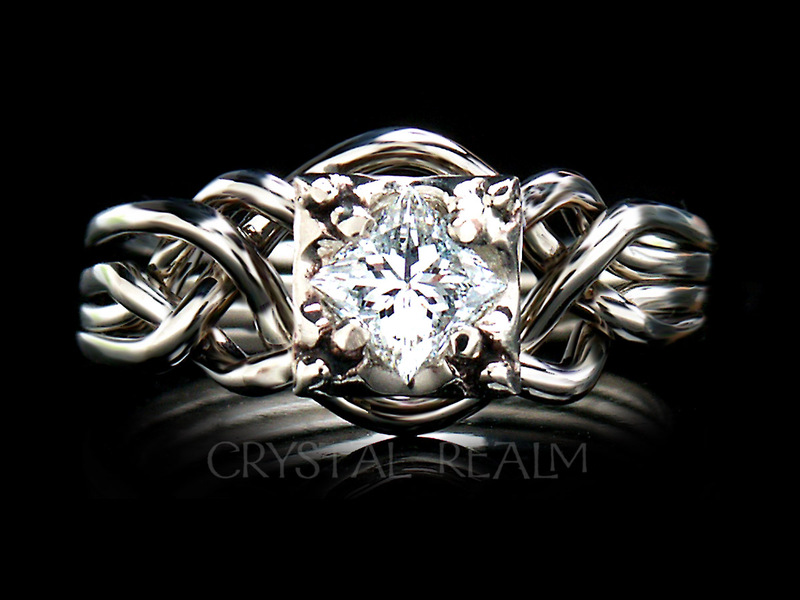 Half-carat, princess-cut diamond, in a four-band, 14K white gold, engagement puzzle ring. “Hello Mandira, My name is Elizabeth Brown, and my fiance Kyle Vandervoegel just gave me a BEAUTIFUL engagement puzzle ring. Please browse our blog and our store; click on images or links to go to our store. Call 1-866-573-7381 if you wish more information or if you’d like us to customize a ring, ring pair or a two or three piece bridal set for you. We have many puzzle wedding rings and just-for-fun rings, which we can customize in your choice of metals and weights.